Fans of the Elder Scrolls series of role-playing games were sorely disappointed last August when developer Bethesda revealed that they were not planning to remaster Oblivion due to the amount of work involved, and that they would instead release a remastered edition of The Elder Scrolls V: Skyrim in the fall. Well, a dedicated team of users are looking to answer that question as they’ve been busy working on a fan project known as “Skyblivion” for the last couple of years, with the team of volunteers at TESRenewal aiming to recreate Oblivion using Skyrim’s engine and the modding tools available for the game, such as Bethesda’s Creation Kit. So this means that Skyblivion is one big user mod for Skyrim, in the vein of other large scale user mods like the Enderal project developed by German team SureAI. Of course there are also countless smaller mods available for Skyrim that add new characters, weapons, quests and others that make the game prettier to look at, plus some that are downright bizarre too. And judging by this latest trailer we see that Skyblivion is looking pretty good, although obviously not up to new-gen standards, but it’s clear that Cyrodiil (the fantasy province in which Oblivion is set) has never looked this good before. It remains to be seen then, whether the team behind Skyblivion can release the game soon enough, and given that things are progressing smoothly perhaps aim for a 2017 release date. Also, Skyblivion is likely to only be available on PC initially, although there is a possibility that it might run on Skyrim’s Special Edition on the Xbox One (but not on the PS4 given Sony’s restrictions, even if there are still quite a few good Skyrim user mods available for Sony’s console). 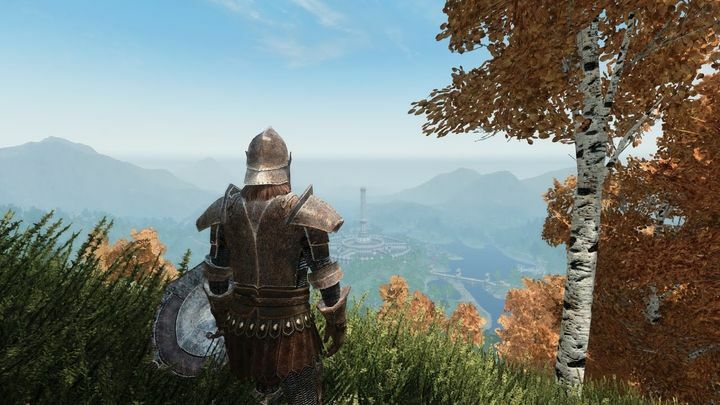 Here’s hoping, though, that Skyblivion turns out to be a good recreation of Oblivion that manages to capture the magic of the 2006 role-playing classic when it’s released sometime in the future. Next: Will Super Mario Run be bigger than Pokémon Go?